From microfibres in your fleece jacket to the ubiquitous plastic straws, our oceans are choking with plastics. Each year, some eight tonnes of plastic are dumped into our seas. A portion of mussels could contain 7 micrograms of microplastics. And after years of scientists’ warnings, it seems that the dangers plastics pose to the marine life and our own health are slowly entering our collective consciousness. Starting this summer, designer Stella McCartney is launching a new line of shoes, bags and outerwear made entirely from plastic debris found in the oceans. 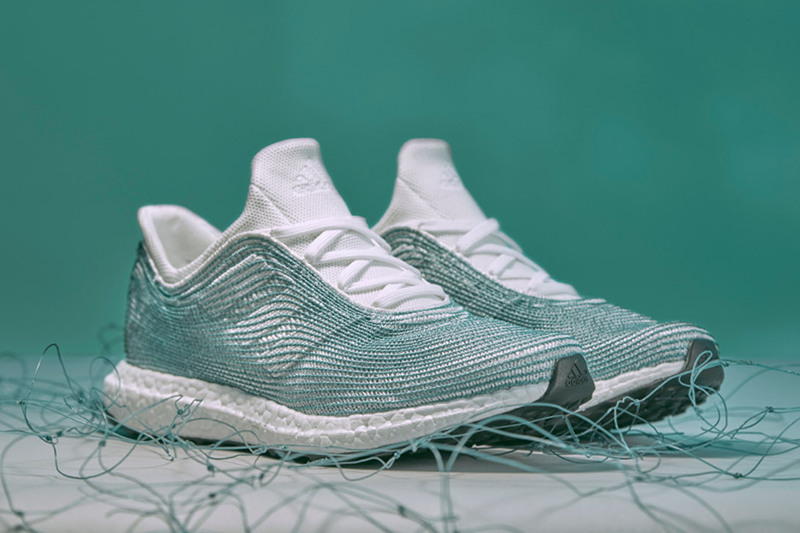 Already last year I wrote about the prototype trainer produced by adidas in partnership with Parley for the Oceans, and this new collaboration with Stella McCartney promises to take the concept to scale. And Stella is not alone in this quest. 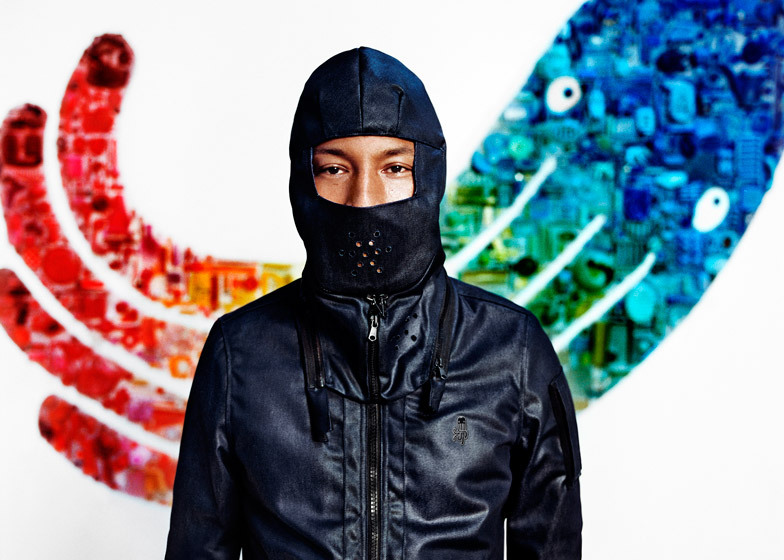 Already in 2014, Musician Pharrell Williams teamed up with Dutch fashion brand G-Star Raw to create a denim collection made from waste plastic scooped up from the ocean. 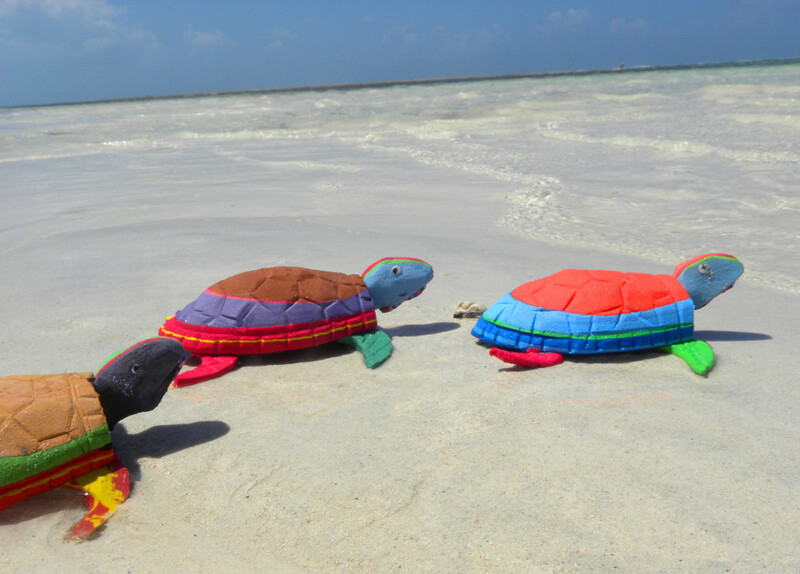 On the shores of the Indian Ocean, a Kenyan social enterprise Ocean Sole has been turning washed up flip-flops into creative designs for nearly 20 years. I first got to know them when I moved to Kenya 10 years ago, and I am extremely happy to see them going from strength to strength. Their latest Bahari collection draws the attention to the ocean’s most endangered species. If you are looking for a small gift with a difference, 4Ocean bracelets — made from recycled glass and plastic bottles — might be just the thing! 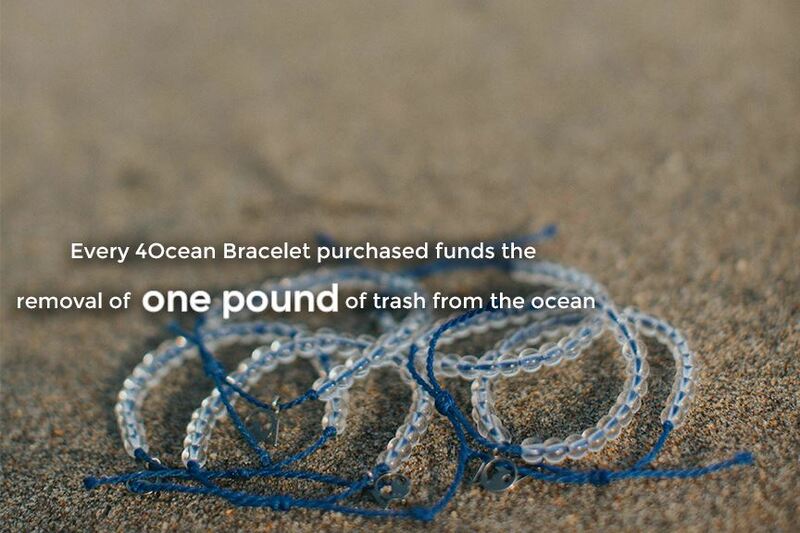 For each bracelet purchased, the company, which conducts ocean cleanups around the world, will remove one pound of rubbish from the seas. Finally, whoever said recycled plastic fabric is not suited for haute couture probably had not seen designer Monique Collignon’s creations. 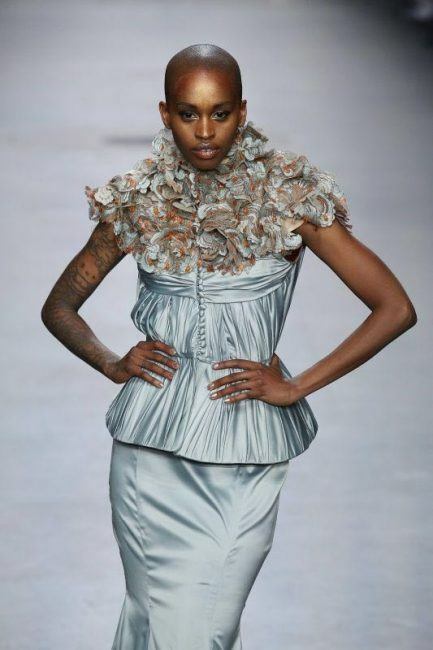 Seventy percent of her collections are made from Waste2Wear – eco-technology that turns plastic bottles into high-quality fabrics. Her website has some lovely RTW, too. One of the direst predictions I have come across is that by 2050 there could be more plastic than fish in the oceans. Let’s prove that one wrong by supporting efforts to rid our oceans of plastics! To learn more, watch ‘A Plastic Ocean’ trailer.